Resistive Random-Access Memory (RRAM, also called ReRAM) is regarded as a promising memory technology - and some believe it will be used to created the high capacity and high performance memory chips of the future. RRAM is based on materials that change their resistance - or memristors. There are several possible materials that can be used to make RRAM cells - including phase-change chalcogenides, binary transition metal oxides and perovskites. A classic RRAM cell uses the switching material placed between two metallic electrodes. When an electric field (or heat) is applied, ions move through the switching material which changes its resistance - which is measurable, and thus can be used to store data. RRAM technologies has been intensely researched in the past years, by large companies such as Panasonic and Samsung - and also several new start ups. 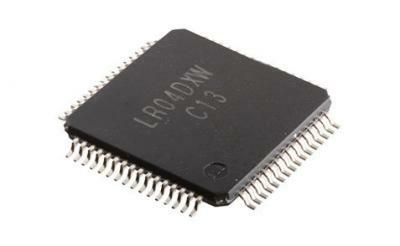 In 2013, Panasonic started to produce the MN-101L 8-Bit MCUs that use 64Kb ReRAM memory. These were the first RRAM products on the market. In early 2016, Samsung said it will be ready with RRAM chips "soon". There are several promising next-generation memory technologies, at various stage of development. Some believe that a single memory technology will be used across many applications and some believe that in the future several new technologies will be adopted. Some of the most leading emerging memory technologies, besides RRAM, include FeRAM, MRAM, 3D XPoint, CBRAM, PCRAM and Racetrack memory.